Jason Helms is a singer-songwriter-guitarist with a knack for spinning tales of life and love, and razor sharp witty lyricism that will keep the listener finding new depth and meaning to the songs with each listen. A God-fearing father and devoted husband, Jason crafts his home and life experiences into heartfelt songs, Infusing them with an honesty that is rarely seen amongst the throngs of would be Red Dirt/Texas Country poseurs that inhabit the music scene of today. The songs Produced here are infused with a realness that recalls hints of Bruce Robison, Steve Earle, and Jack Ingram but also there is a sense of adventure Musically, much like Ryan Adams and Counting Crows. You need not walk a mile In his shoes: Listen long enough and you will feel each callous and blister, finding Yourself wincing in each painful step and rejoicing in each triumph. Since 2008 the band has played with and opened for many artists such as BomShel, Wynnona Judd, Marshal Tucker Band, Pure Prarie League, Smokey Robinson,Ziggy Marley, Justin Moore, Tracy Byrd, Tracy Lawrence, Lee Ann Womack,Joe Nichols, Bruce Robison, Mark Chessnut, Reckless Kelly, Randy Rogers Band,Rio Grand, Rich O’Toole, Wes Jeans, Lance Lopez, Johnny Cooper, BrandonJenkins, Kyle Bennet Band, Perfect Stranger, Gene Watson, Stoney LaRue, Colt Ford, And Merle Haggard. This band is definitely a must-see group of artists. 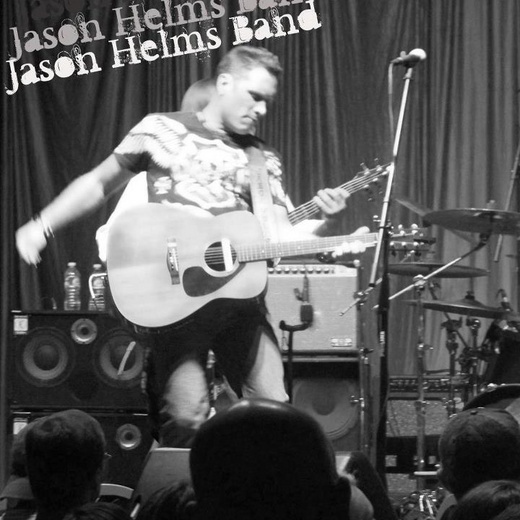 If you are into honest, heartfelt Music with a strong sense of melody and tales that you can relate to then come See the Jason Helms Band - You’ll be glad that you did!